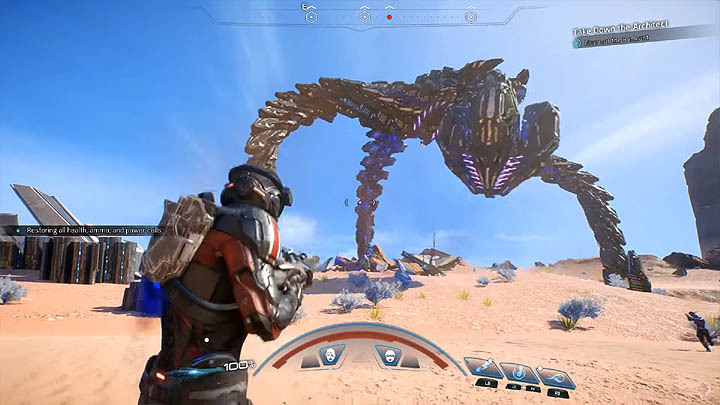 In the recent Mass Effect Andromeda trailer we got our first in-depth look at the Tempest, the games main spacecraft (social hub) where players will spend the majority of their time outside of missions. The Pathfinder team considers the Tempest their "home" and it's the focal point for exploring the galaxy, engaging in new mission, interacting with NPC's and upgrading the wealth of weapons, equipment and other tech in the game.. The Tempest is different to the Normandy from the previous Mass Effect games. For a start it doesn't have a main gun or heavy armour, but is backed up with great speed. Upon visiting new locations the Tempest stays at a safe distance whilst the team departs on the Nomad, a six-wheeled terrain vehicle. Although appearing as a small ship, the Tempest is actually much larger inside, consisting of several visitable areas where players can engage with specialised crew members and perform actions. For example, the Bridge area is the pilots responsibility and it's from here that you'll explore the galaxy map and select new destinations to visit. 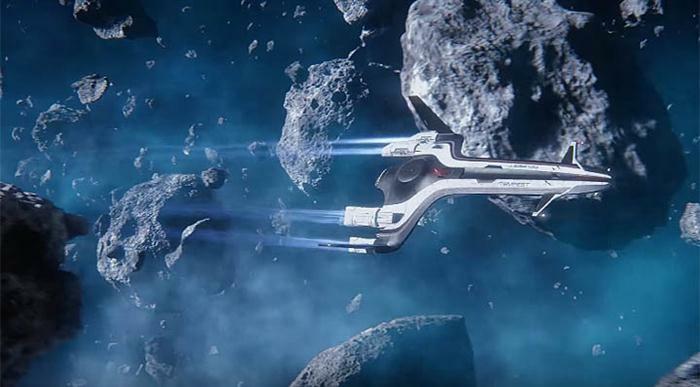 Crew members actively move around the ship, making the Tempest behave differently to other hubs such as The Tower in Destiny. Romanceable characters may move from more public areas to more discreet areas such as the Pathfinder quarters when a romance dialogue choice is on the horizon. R&D for intel and samples, understanding how they can be used to upgrade weapons, armour and the Nomad scout vehicle. 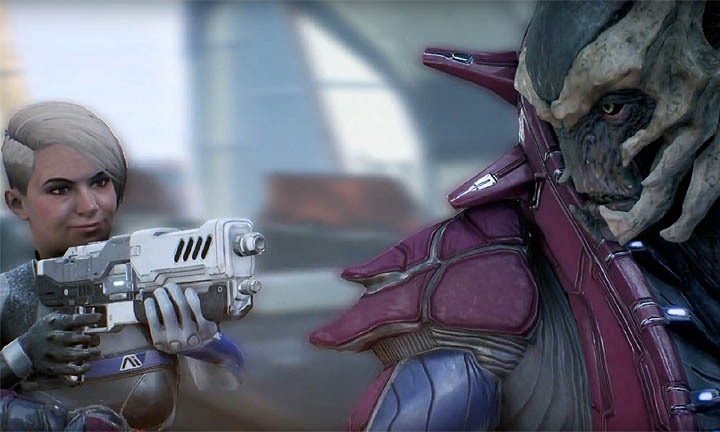 Sending important intel back to the Tempest is essential to unlock new upgrade paths in Andromeda. Supports the R&D function. New discovered tech is stored here. Also supports the R&D function. New biological discoveries are stored here. A place to gather the crew or video conference with the Nexus. During the critical path missions you'll visit the meeting room on several occasions to discuss mission prerogatives. Upgrades and repairs for the Tempest and Nomad. A selection of equipment, weapons and armour are housed in the armoury. Kit out your team prior to missions and invest credits in improving existing tech. Critical medical treatment for the crew following unsuccessful missions and helping wounded refugees. The Nomad's resting place between missions. For relaxing and cutscenes between missions. Off limits except for special circumstances such as romance encounters. Important for interacting with the pilot or opening the galaxy map, used to locate systems and destinations for missions and activities. Upon touchdown, the Nomad is launched so teams can explore using the six-wheeled rover.